Of those definitions, I think #1 is the most important. I tend to read the news here and there. Though I used to read it about every other day, now I do so a lot less. Even still, I get most all my news from various internet websites. Most of them feature clips of various pundits from mainstream television networks discussing issues. I’m not old enough to know what news and television was like 30 years ago, but over the past 10 years or so, it seems to me that there’s been an erosion of respect. More and more, it seems that I open up various blogs and websites and am finding less and less substance, and more and more name-calling. I’m finding more and more personal feuds between networks and pundits, and less rational argument. I’m no saint in this regard, as I’ve said terrible things about people myself, but I set myself out starting this weekend to put an end to it. I was thinking about posting lots of clips showing all the hatred and feuds and commenting on it all, but then I decided not to. Instead, I’d like to focus on why I feel it’s important for us to respect and love one another — even those we vehemently disagree with. When I think about life for most people, things are so difficult for them that we need to be kind and loving. We shouldn’t add to all the hatred and madness out there. My father pastors a church and growing up I remember families from every walk of life coming over to our house and my parents counseling them. I’ve had first hand experiences with drug addicts, alcoholics, families with every sort of marital and family issue, people suffering from depression, anxieties, families struggling financially, and the list goes on and on. I think I’ve seen more problems than most people ever will. Some children have listened to their parents fight. I’ve overheard many families fighting in the kitchen as my parents tried to calm them down. One memory of mine immediately surfaces. I can remember a woman screaming out, “I never loved you! I don’t know why I married you!” Then the husband started yelling back and it was a nightmare. At another time, I can remember a meth head wanting to speak with my Dad. I wasn’t sure what to do with him considering my parents were gone. Since I knew him I let him stay in the living room and I waited with him. The man was out there. He went on and on about the devil, how he’d had experiences with demons, how he wanted to go around town casting them all out, how an angel had appeared to him while he was listening to a Benny Hinn tape, and so on. I think a lot about poverty, cancer, divorce, those who have never had or found love, drugs, alcohol, religion, people’s career struggles, war, greed, how difficult the world is to figure out, and so on. I find myself thinking about the anthropic principle and how amazing it is that life exists at all. I also sometimes find myself thinking how improbable it is that someone should be successful in this difficult world. There’s a million mistakes you can make, and there’s many mistakes which are irreversible. Out of all the possible decisions afforded to you during your lifetime, the vast majority lead nowhere. You always have to be prudent. You really have to play your cards right to end up on top. (If there even is a “top” in life). As for the ones who typically do end up doing really well, more often than not, they sort of fell into good fortune. Out of all the possible ideas you can hold about the world, most are wrong. Most of the ideas you’ll hear people discuss are wrong and completely off base. Most people live in world they don’t understand. They don’t understand how money works, why there’s inflation, and why the prices are always rising faster than their wages. They don’t understand the political issues going on, or the wars. They don’t understand their origins or what’s going on in the universe. Most people I encounter don’t have the slightest clue what life is, or even what they’re up against. But how can you blame them? With everything else they’re having to juggle and manage, nobody should be blamed for not understanding those sorts of deep truths. Even so, I think everybody understands that there’s many forces against them and their happiness. If you don’t understand this, I don’t think you’re capable of loving another person. I don’t think I’ve understood this lesson to any real degree until rather recently, and if a lot of the suffering I’ve had to face has helped me learn this, then it was worth it, I think. I’ve said this before, but I’m not a very demonstrative person. I give off an aura of spartan discipline. Though it’s not easy for someone like me to say, and I don’t know how to really put this into words, but I believe in you. There’s a million forces in the world which is always telling you, “I can’t”, and it seems like there’s every rational reason in the world why you can’t and it’s impossible. But somehow, even if I can’t tell you how, I think there’s a way. There are people out there who will help you, and work with you, and you can move on to bigger and better things in life. Get out there and try again. Circumstances in life will never be ideal. As the old proverb says, if you look to the winds and the weather before planting your seeds, it’ll never seem the right time to plant. Even so, you get out there in the weeds and bad weather, and do what you need to do. Sometimes I hate talking about “life” in a broad sense. I feel so unqualified to give any sort of advice on anything. I look at my own life and think, “Who am I to say anything to anyone else?” The more I learn, the less I want to write and comment about things because I don’t feel qualified to do so. It’s ironic because the more knowledgeable I am, the less I want to write. I look at many of my older blog posts from years back and they’re just ridiculous. I was brimming with confidence as I said all kinds of things which are completely wrong. Those posts are embarrassing. I had to remove a few the other day. They’re so terrible. To be knowledgeable in anything – to be a true expert – requires a lifetime of dedication and research. I feel like an amateur in just about everything. But what I wanted to say that after studying what I have, I find most people to hold views that could never be held by an educated, thinking person. Also, as I said before, I don’t blame them either. They don’t typically have the time to figure everything out. And even when people hold ridiculous worldviews, we need to be kind to them, and not insult them. What good does that do? It’s only going to get them angry and close their minds to whatever we’re wanting to tell them. I’ll give you an example. Here on my bookshelf I have a little booklet a Jehovah’s witness gave to me while I was out enjoying a pizza. It’s called ‘What Does the Bible Really Teach?‘ It’s been a while since I’ve read it, but I remember it saying that after the judgment God is going to give each holy saint his own planet to rule. It also talks about spirits possessing humans, causing them to do bad things, like get angry, and how the Earth is going to be made in into a paradise. When I read it all, I thought, “There are many reasons why this can’t be right. The stars will burn out, many of them exploding and becoming black holes. Our universe is also expanding. We have to deal with the heat death. As for the eternal earthly paradise, in a few billion years the Earth will be destroyed as the sun goes into the red giant phase. Our emotions, including anger, are governed by known processes in our brains, not demons. That’s why various medications and drugs can alter our emotions as well. And sickness is caused by bacteria, viruses, hereditary diseases, injuries, and so on.” Similar sorts of reasons make the other things religious texts and books say impossible for a thinking person to believe. But to someone who hasn’t studied science, and doesn’t understand how their body works, or how the universe works, such accounts make sense to them. I want to mention churches while I’m on this topic. As I mentioned, my father is a pastor, so I’m very knowledgeable about how churches work. Churches tend to focus on what’s called “out-reach”, which is being kind to people, making friends with them, helping them out, and bringing them to church. One thing I’ve noticed about many members in the science and agnostic/atheist communities (my experience anyway), is they’re not near as welcoming. A lot of them can be downright nasty. I saw a physicist in a video recently and he was talking about life and the universe and he made a few wrong comments about evolution. A prominent biologist, on his blog, tore into him. “Is this guy an idiot?” He railed against him. I thought, “Alright man, he had a few misconceptions toward some rather subtle biological concepts. He’s a physicist, not a biologist like you.” The arguments against the physicist were flawless, no doubt. He was also right in correcting him. What was missing was a level of respect and courtesy. If we treat each other like this, nobody is going to want to become a scientist, or get involved in research endeavors. People also are going to be scared to share their ideas because they know if they get one little thing wrong, some nasty expert is going to jump out of the bushes, ambush them, making him or her look like an idiot. “Idiot! How could you think that?” You know, if this were a peer review journal, that’s one thing. But when we’re dealing with one another, on a casual level, such as our blogs, we need to be kind to one another, and kindly correct each other’s mistakes. It’s hard for me to understand how someone could get so angry like that, especially over someone who holds 99% of your worldview, but gets a few minor things wrong. When people talk to me about physics concepts, I don’t look down on them when they’re wrong. During the holidays a family member was talking with me about sci-fi movies, and he wondered about building special suit and if he could use it to walk along the ocean floor in it. He thought about putting a thin wall of air inside the suit’s vest, which would then cushion him from the pressure. Unfortunately, this sort of thing would never work, and I explained to him how and why he was wrong. Nobody got angry, nobody was insulted, and he learned something new. That’s how that should work. Now that I’m in college, I’ve also experienced professors who look down on their students. Nearly half of my professors have been guilty of this at one time or another. It breaks my heart to see it because I know it’s going to run students off. If the scientific community, as well as our educational institutions, make people feel so unwelcome and stupid, people are going to turn to other organizations, like churches, where they’re loved and respected. It’s easy to fall into intellectual hatred. When people are saying and believing ridiculous things, it’s easy to do. There’ s a right way to correct someone, and a wrong way. From now on, I’m going to try to write every blog post in a similar format to Paul Krugman’s recent post on inflation. I don’t agree with Krugman on a lot of things. I don’t tend to agree with many of the principles behind Keynesian economics in general. I tend to lean more toward an Austrian perspective in economics. But look at that. There was no name calling. There was no, “This person’s an idiot.” It was a rational argument telling why the ideas put forth in that article are wrong. Here he clearly points out the misunderstandings the author holds toward inflation. We often communicate by the internet now, and it’s so much easier to say terrible things since we’re not speaking face to face. We need to hold ourselves back. Don’t do it. I try to remember that consciousness resides in each person I deal with. They’re alive and have feelings, just like me. The longer I live, and the more I think about it, the more sacred that truth becomes to me. It’s like I want to grab someone and say, “Don’t you realize, that’s a conscious living being that is suffering.” But when it’s not us suffering, or our family members, or loved ones, or close friends, it can be difficult to have empathy. As the world becomes more and more closely interconnected, it will be harder and harder to avoid one another. It’s going to become more important everyday that we develop tolerance and respect one another. Otherwise the tensions and fighting will only increase. You won’t be able to say nasty things and then just disappear and hope the world forgets about it. People will blog about the terrible things you said to them, and then when people Google your name, you’ll pop right up. That’s pretty scary really. When you say something online, it’s there for good. There’s even websites which store old copies of your website, archiving everything. Even if you remove it, there’s still records of it all. People have enough troubles on their plate without us adding more pressures to their lives. Try to make people’s lives easier, not harder. I think humanity is capable of great things. There’s all kinds of advancements and progress going on everyday. Let’s celebrate that and believe in one another and our common future. Years ago I remember sending an email to a scientist friend of mine who, at the time, worked for Lockheed Boeing. I asked him how he thought the brain processed the objects we see and handle. 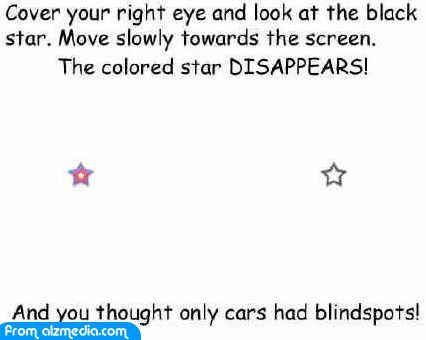 I remember posing a dilemma I wasn’t able to figure out at the time — how did the brain know it was looking at the same object even though it rotated, changed sized, and even appearance? The example I gave him was actually a tree stump out in the middle of a field. At a distance the stump is just a brown and beige dot. You can’t really make out any detail at all. As you approach the stump, you start to see the bark and if you get even closer still, you start to see all the detailed fabric of the bark, the wood grain, and the tree rings. 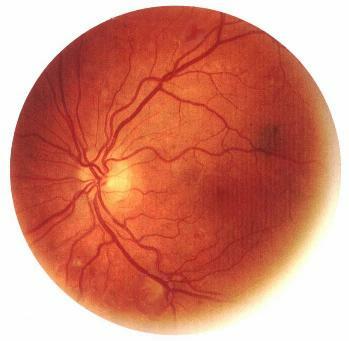 In terms of retinal images on the eyeball, these are vastly different experiences. If you were a painter, and you were to paint the stump at a distance and the stump up close, the painting would be completely different. Yet somehow our brain knows that the stump is the same stump. You may think, “What’s the problem?” Well, maybe I can pose this problem another way. Sit down on a computer and imagine having a digital video clip of a person walking toward the stump. Now you have to write a computer program that examines each image from the video, one by one, see how the colors change, analyze them in some complex way, and know that it’s looking at blades of grass in a field, that you’re an observer standing so many feet above the ground, and that you’re approaching a tree stump. How would you store each blade of grass? How would the algorithm know that the blade of grass in one image is the same blade of grass in the next? How would it know about the tree stump? What sort of storage mechanism would you use to store the information about the stump, the grass, and the spatial relations between everything? How much detail would you keep? How would you relate them in a time sequence? “What does it mean, to see? The plain man’s answer (and Aristotle’s, too) would be, to know what is where by looking. In other words, vision is the process of discovering from images what is present in the world, and where it is. Marr wrote this book before I was even born, but I believe he somehow was thinking of me. Several hundred pages later, he had done just what he set out to do — give a series of algorithms and processes the brain might use to parse objects out of the images we see, and then store them in some usable format which we can use to make decisions. It turns out I was correct about one thing — vision is practically a miracle. “The early stages of visual perception can be viewed as trying to solve what is often called the inverse problem: how to get from optical images of scenes back to knowledge of the objects that gave rise to them. From this perspective, the most obvious solution is for vision to invert the process of image formation by undoing the optical transformations that happen during image formation. Ouch! An infinite number of possible 3-D environments could give rise to each 2-D image. No wonder I was having such difficulties figuring out how this worked! But in comes Herman Helmholtz, one of the greatest physicists to ever live, and the founder of vision science. He has a brilliant idea. He theorizes that the brain makes certain assumptions about the environment, and those assumptions constrict those 3-D environmental possibilities. These constrictions will allow the brain to construct, or at least estimate, a model of the environment by making educated guesses about what we might be looking at. Keyword is MIGHT. But what sorts of assumptions are we talking about? Ah, here is where life gets interesting! As you know, we humans evolved here on planet Earth, roaming about the fields under the sun and moonlight. You find out that the assumptions mother nature filled our brains with are environmental conditions common to planet Earth. For example, our brains unconsciously assume that light comes from above us. Take a look at these images below. You’ll notice that three of dents look like holes, whereas one looks like a bump. 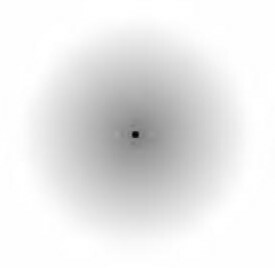 That’s how your brain parses in the color shading and gives a spatial meaning to the picture. 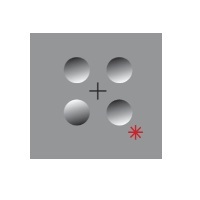 The bottom left bump juts out whereas the other three are holes. But what happens if I simply flip the image over? What you see is not necessarily what’s there. Frankly, I’d argue that what we see in the virtual models in our heads is pretty far from what reality actually is. 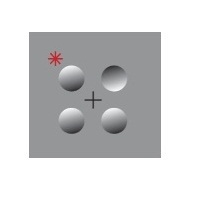 For example, we see a stone as a solid object, whereas it’s actually mostly empty space. We don’t see it moving, but actually the atoms of which it’s composed are vibrating and wiggling all over – not to even mention the strange quantum effects going on. I don’t claim to fully understand the quantum effects yet, so I won’t even talk about them. So how does the brain construct this model of 3D space? And Jason, you’re saying space isn’t actually 3D? Nope, it isn’t. Einstein’s relativity tells us we live in something more akin to a 4-D space-time that curves and is very complicated. Quantum mechanics tells us reality is even stranger. But, probabilistically speaking, the photons that end up making it to our eyes have consistent enough probabilistic behavior to generate similar images each time and our brains have evolved to generate semi-accurate models or reality based on the most probable conditions and scenarios on the Earth. Just to name a few factors the brain uses, it looks at shading (making assumptions about lighting), it parses out 2D contours and generates a sort of 2D line-drawing of each picture, then analyzes the angles and curves of those 2-D lines, building up objects and space. It looks at shadows, it looks for horizon lines and uses a neat trigonometric relationship to establish depth, it looks for convergence in the 2-D lines which it parsed out and based on things like their slopes and where they intersect, generates surface normals and orientations. 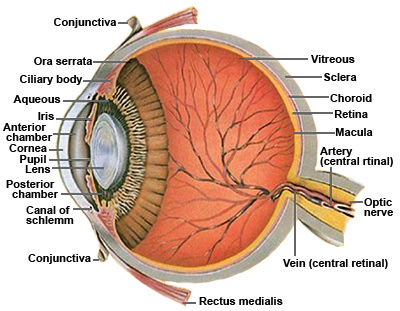 It compares the images from both eyes and sees how much the images differ (binocular effects). It builds up a gigantic database of objects which it is constantly comparing and analyzing and using in its calculations. It looks at the textures of things, such as the statistical similarities in the colors of a field of green grass and it looks at how that texture pattern shrinks and blurs as it heads off into the distance and generates the depth of the surface from that. It looks for a dulling of color, which happens for hills in the distant background as a lot of the light of lower-wavelengths is scattered as it travels toward you. The 2-D line parsing system is pretty neat to understand. Take a necker cube. You’ve all seen it. From the image you can see the necker cube, and the two possible ways your brain interprets it. One of the things you learn in vision science is how these lines are parsed out and how say the vertex patterns are analyzed and interpreted. It’s really neat stuff. But sometimes the lines can play havoc with your brain, which tries to assemble the lines into surfaces and assemble the surfaces into space, but then finds it to be impossible. 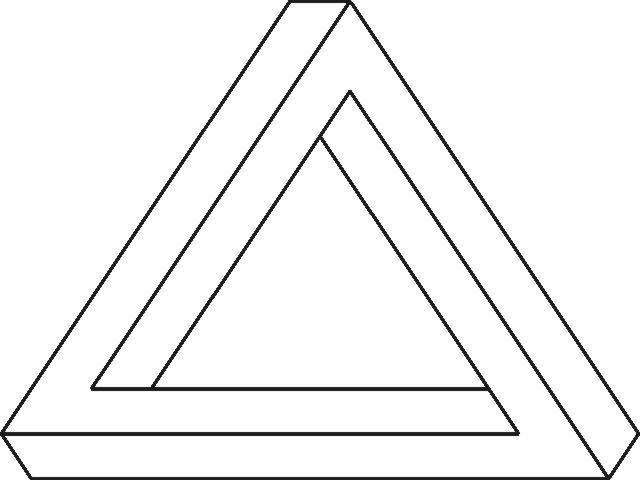 Take the famous Penrose triangle. Your brain starts to parse out the lines and form surfaces but then says, “Wait a minute. This surface won’t go with this other surface.” These are called impossible objects, but they are neat to look at and ponder. Everything gets really complicated in vision science. Different information starts to conflict. 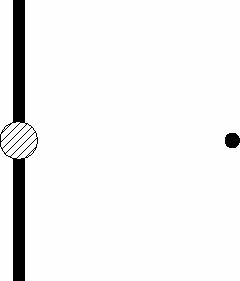 The 2-D line contours which your brain parses out may say that space is doing one thing, but then the shading information may say another. The brain has a whole complex system it uses to make the best guess as to which information source best represents what you’re looking at. The brain also does more than this though. We’ve just scratched the surface of all your brain is doing. It also groups things together by their similarities in color, their similarities in size, similarities in orientation, similarities in “fate” (it calculates a trajectory of where an object is moving), it looks for parallel and symmetric patterns in the image, searches for continuities, and the list goes on. I’ll have to write more on all of this at a later time. What interests me about all of this is that the model our brain builds up is inaccurate and the assumptions it makes aren’t true all the time. As Richard Dawkins points out in his books and many of his lectures, our brain assumes slow walking speeds and medium sized objects. Our brain builds up a model that is intended to lug our big body around and help it walk from one place to another, and do common things like find something to eat. But the world of much larger than our bodies, and much smaller than our bodies, follows different rules than the model in our head. For example, if you accelerate up toward light speed the object shapes start to morph due to the Lorentz contraction. Though your brain tells you, “This coffee mug has this cylindrical shape, with this circular bottom and open top, in reality the cup’s shape is much stranger. If you were the lay that cup on your kitchen table and then zoom past it at near light speed, it would bend and morph and do all kinds of weird things. There’s actually relativity simulators you can download for the computer. One is called Real Time Relativity, which is neat to play around with. If you’d rather just watch a video of optical relativistic effects, I found a video below. In it, you can see how matter starts to behave at near light speeds. You see that objects begin to bend in weird ways and their colors change. It’s only weird to us though because we never see this happen. Once again, our brain makes an assumption that we’ll never travel that fast, and so it makes assumptions about geometry and space which only hold up if we’re moving slowly. I still haven’t mastered quantum mechanics, but from what I can tell, it seems our brain’s views on causality and time are flawed as well. I’ll write about that when I feel more comfortable with quantum physics (if that ever happens). Combine all this with neuroscience and how brain activity gives rise to consciousness, and you’re getting the gist of where my research takes me. It’s nice to see that things I had no idea about just a few years ago are starting to make sense to me now. I suppose that’s growth and development.